The Master Cleanse is commonly called the “Beyonce Diet” because of Beyonce’s successful weight loss while following the diet in preparation for her role in “Dreamgirls”. She announced on the Oprah Winfrey show that she had shed 20 pounds with the aid of the Lemonade Diet. The Beyonce diet or Master Cleanse is a 7-10 day lemonade detox diet that includes Cayenne Pepper, Grade B Maple Syrup, & Lemons mixed with 8 to 10 glasses of water a day. It is also very important to use an uniodized sea salt water flush and herbal laxative tea in conjunction with the lemonade mixture daily, as this will help with eliminating toxins from your body. Diabetics can substitute Grade B Maple Syrup for Agave or Molasses. 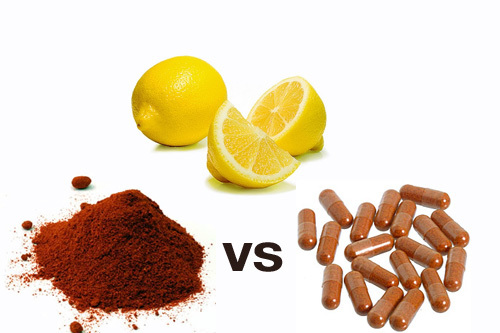 Also, Cayenne pepper pills can be used instead of powder for the lemonade diet. You can purchase the premade Master Cleanse Kits at the following link http://www.thelemonadesite.com/mckit.html. In most cases, Grade B Organic Maple Syrup is recommended for use with the Master Cleanse; however, Stanley Burroughs, the creator of the master cleanse diet, advises that Blackstrap Molasses be used in the event the cleanser has hyperglycemia or diabetes. 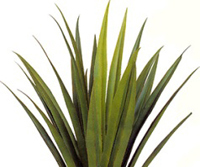 Agave nectar is also commonly substituted by some, in such cases, as it boasts a low glycemic index. Agave and Molasses are low on the glycemic index. That means the glucose and carbohydrates in these syrups are metabolized slowly, demanding less insulin production and stabilizing blood sugar. A sweet syrup derived from Mexico’s Blue Agave plant, Agave nectar is an all-natural, low-glycemic sweetener that is also very tasty. Many compare it’s flavor to that of honey. Unlike many other syrups and artificial sweeteners, agave syrup ranks very low on the glycemic index and is not known to spike blood sugar levels. 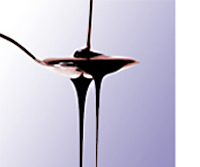 Molasses is a byproduct of sugar cane or sugar beats. You are probably familiar with molasses, as it is a common syrup used in baking recipes and beverages such as rum. In the days before white refined table sugar became a predominant household sweetener, molasses syrup was a primary sweetener found in most kitchens across the world. Always consult with your medical practitioner before embarking on any cleansing regimen. The information given here should not be replaced for medical advice. The couple that cleanses together, stays together. That may be up for debate, but celebrity duo Ashton Kutcher & Demi Moore are giving it a go. A very youthful and attractive Demi Moore, now 47, announced on July 11 via Twitter that her and her husband were doing the Lemonade Diet together. Demi commented that going on the Master Cleanse diet was not about losing weight or altering appearance, but rather… ‘this is about health!!!’. “2nd day of master cleanse and off to hike with hubby and the dogs. 2nd day better than the 1st!”, Demi disclosed. Apparently, dieting did not prevent the actress from continuing her daily activities. As many Master Cleanse dieters agree, the lemonade cleanse provides them with more energy and vitality to carry out the tasks of the day.